The most wonderful time of year is upon us as the NCAA Men’s Basketball Tournament tips off tonight (First Four games) and then the traditional March chaos begins on Thursday afternoon. A month back, I took a look at how I thought the Conference Tournament season might play out and made some projections on how I thought the seed lines might fall. Some of these were correct and obviously some of them were dead wrong, but predicting the field of 68 is now over, as the field was set on Selection Sunday. In this article, I will be looking in depth at the field to identify potential sleepers, and who I think will be making the trip to Minneapolis for the Final Four and eventually cutting down the nets as National Champion. As stated above, the tournament technically gets underway tonight with two First Four games from Dayton, Ohio. Although the juices rarely get flowing for everyone until Thursday morning, these day one matchups can be very important for the teams involved and fans of the schools. Fairleigh Dickinson -2 vs Prairie View A&M +2, O/U 148.5 – Two evenly matched teams to kick off the tournament and I think it could turn into a track meet as the First Four so often does. I like Prairie View to advance and get Gonzaga on Thursday. Belmont -3 vs Temple +3, O/U 155 – I think the Belmont Bruins are the better basketball team in this matchup against the Temple Owls. Belmont advances in this one and gets sixth seeded Maryland later in the week. North Carolina Central +5 vs North Dakota State -5, O/U 133 – North Dakota State wins this game and will then be greeted by the Duke Blue Devils in the Round of 64. Do not discount a team that picks up a win in the NCAA Tournament though, this game will matter greatly between the two participants. Arizona State -1.5 vs St. John’s +1.5, O/U 155.5 – In a slight upset, I think St. John’s wins this game against the Sun Devils in Dayton to advance to play Buffalo. I think the Red Storm will be a tough out this March. More on that later though. I will now delve into each region and give a quick preview and who I think will emerge and make it all the way to the Final Four. Without any hesitation, I will be moving Duke and Michigan State through their first round matchups and into the Round of 32. The rest of the bracket, however, will get interesting. Let’s start with the 8-9 matchup between UCF -1.5 vs UCF +1.5. This is, as all 8-9 matchups seem to be, a complete coin flip. Two evenly matched teams that will play physical basketball in hopes of reaching the second round to get the number one seed. I think this will be a low scoring, grind it out type matchup that UCF will survive 65-61 because of an injury to VCU starter Marcus Evans in the Atlantic 10 Tournament. VCU wins a close one here and gets Duke in the next round. Mississippi State -5.5 vs Liberty +5.5 – A lot of people will be on the Liberty upset here, I will not be though. I think it will be a tightly contested matchup but I like what I have seen from Mississippi State this season. Athleticism and coaching from Ben Howland will move the Bulldogs on 68-62. I think both Virginia Tech and Maryland will win their opening round matchups and move on to the second round as well. My first real upset of the tournament is 14th seeded Yale over 3 seeded LSU, in a high scoring affair. I do not think Yale will be intimidated by the size and athleticism of LSU and they can score with any team in the country. Yale beats the controversy riddled LSU in the Round of 64 and I believe makes it all the way to the Sweet 16. In the end, I think it will be Duke vs Michigan State in the Regional Final though, with Duke prevailing and winning this region and representing the East in the Final Four. 1 Seed Gonzaga, 2 seed Michigan and 3 seed Texas Tech advance easily through their first round opponents. I like 8th seeded Syracuse to stymy Baylor to advance and eventually give Gonzaga all they can handle. Maybe the most interesting first round matchup is between 5 seeded Marquette -4 vs 12 seeded Murray State +4. Two of the most dynamic scorers in the country in Markus Howard of Marquette and Ja Morant of Murray State square off in this one. Three weeks ago, I liked Marquette as a sleeper team that maybe could make it all the way to the Final Four. I stand here today corrected and say I believe Murray State pulls the upset here and gets to the second round. Marquette struggled down the stretch and it is a brilliant opportunity for Ja Morant to showcase his talent on a national stage, Murray State wins a thriller here. I also think Florida State’s athleticism will be too much for Vermont so that will set up a second round matchup with Murray State, that I believe Florida State will also win. Nevada -2 vs Florida +2, O/U 132.5 – I am of the belief that Nevada is overrated and I believe that Mike White does a fantastic job preparing his Gators for the NCAA Tournament. I think Florida beats Nevada in this first round matchup and also upsets the number two seed Michigan Wolverines in the second round to get all the way to the Sweet 16. 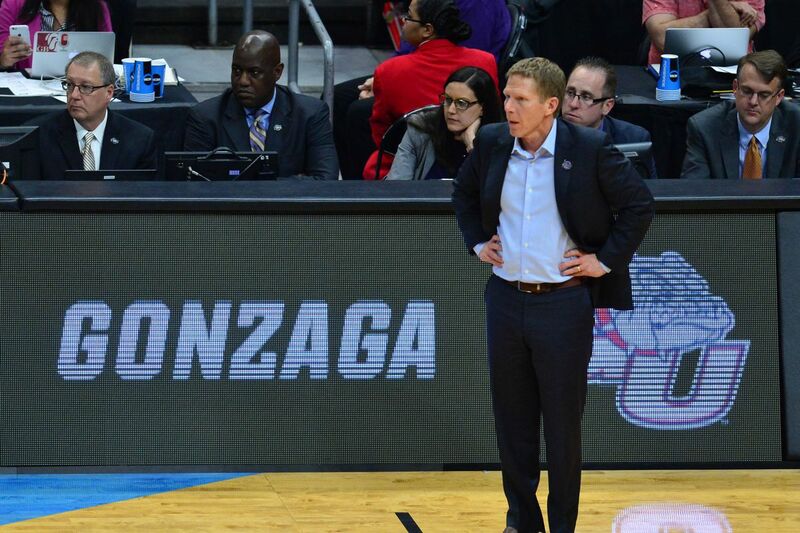 My regional final has Gonzaga pinned against Texas Tech and I think Gonzaga will prevail to reach the Final Four and get a rematch with the Duke Blue Devils, who they beat early in the season in Maui. 1 seed Virginia, 2 seed Tennessee and 3 seed Purdue will all advance through their first round matchups. No, Virginia will not be upset in the first round against Gardner-Webb this season. Although I do think Gardner-Webb can make that a game for a half, Virginia will eventually win comfortably. #4 Kansas State -4.5 vs #13 U.C. Irvine +4.5, O/U 119.5 – In a low scoring, defensive matchup here I like an upset. U.C. Irvine is tremendous on the defensive side of the ball and Kansas State will be without Dean Wade. I really like U.C. Irvine to control the tempo and eventually pull the upset here against Kansas State. I think the Anteaters have the capability of making it all the way to the Sweet 16 this season. #5 Wisconsin -1 vs #12 Oregon +1, O/U 118 – In another low scoring, methodical defensive battle I think Oregon will knock out the fifth seeded Badgers. Yes, Oregon is a hot basketball team and finding its rhythm late in the campaign, but let us not forget that Oregon would not be in the tournament if they had not have beaten Washington to win the Pac-12 Tournament, so they are obviously not a great team. Plenty will look at this as an “easy upset” pick, I do not see it that way, it is a flip of a coin and I think Oregon lands on the correct side. Oregon 57 Wisconsin 53. Villanova is not very good this season so it is an amazing accomplishment that they still were able to win the Big East Regular Season and Conference Tournaments. They are only slight 5.5 point favorites against St. Mary’s, but I think they win that game and then with not a lot of confidence, I will also take the Wildcats to the Sweet 16, where I think the defending champions will finally be ousted. 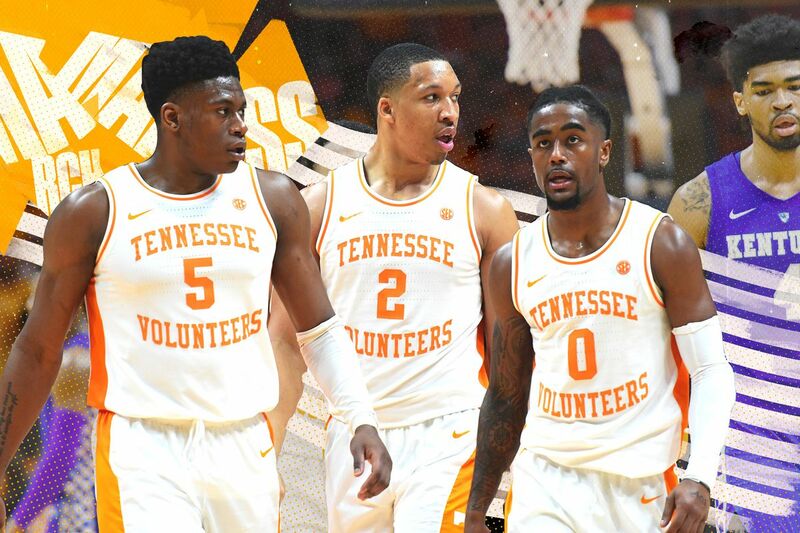 My regional final has #1 Virginia vs #2 Tennessee and I think the ability to rebound and the size of Grant Williams will push Tennessee into the Final Four, leaving Tony Bennett short of the Final Four once again. I believe North Carolina is National Championship good this season and both them and Kentucky will breeze through their opening round opponents. I think Georgia State can give a fight to the three seeded Houston Cougars but I eventually think they will win by double digits to advance. Fourth seeded Kansas is not very good but they will get through Northeastern in the first round before having a second round matchup that could send them to the Regional Semifinal in Kansas City? I have always found it bizarre that seemingly every season Kansas would be playing tournament games in Kansas, Missouri, or Oklahoma and have a decided home court advantage over every opponent they matched up against. However, I was always able to understand it because they were always such a high seed (#1 or #2 for 9 consecutive seasons) but this season they are not and do not deserve this home court advantage. If they make it to the Sweet 16, which I am not convinced that they will, it is a shame that once again the Jayhawks will have a home court advantage against the number one seeded Tar Heels. Auburn -6.5 vs New Mexico State +6.5, O/U 144.5 – In an interesting 5-12 matchup between two red hot basketball teams, conventional wisdom says the Auburn Tigers should win this game. However, I think the Tigers will be a little bit worn out after their run to win the SEC Tournament and will take the Aggies in an upset here. I like New Mexico State to beat Kansas in the second round as well. Wofford -2.5 vs Seton Hall +2.5, O/U 143.5 – A lot of people have fallen in love with Wofford over the last few months and rightfully so. The Terriers have played some excellent basketball and deserve every bit of the 7 seed they received. However, I really liked what I saw out of Kevin Willard and Seton Hall in the Big East Tournament. I think the Pirates of Seton Hall will beat Wofford in this game behind electric guard Myles Powell. Watch out Kentucky, Seton Hall can play. Everyone will be picking Utah State to beat Washington in the 8-9 matchup in this region but Vegas must know something if the Aggies are still only favored by 2.5 over the Huskies. Washington wins this game in a tight contest that will surprise some people. I also think Ohio State is not very good and Iowa State will beat them in the opening round. My regional final will between the two blue bloods, North Carolina and Kentucky. I said earlier that I think North Carolina might just be the best team in the country. However, as we know in March, the best team does not always win. I think Kentucky does just enough to get into the Final Four with a thrilling victory over the Tar Heels in the Elite Eight. I will definitely be doing a more in depth Final Four preview when my bracket is busted and the dust settles over the Final Four teams but for now, I like Gonzaga to cut down the nets over Kentucky in the National Championship Game.